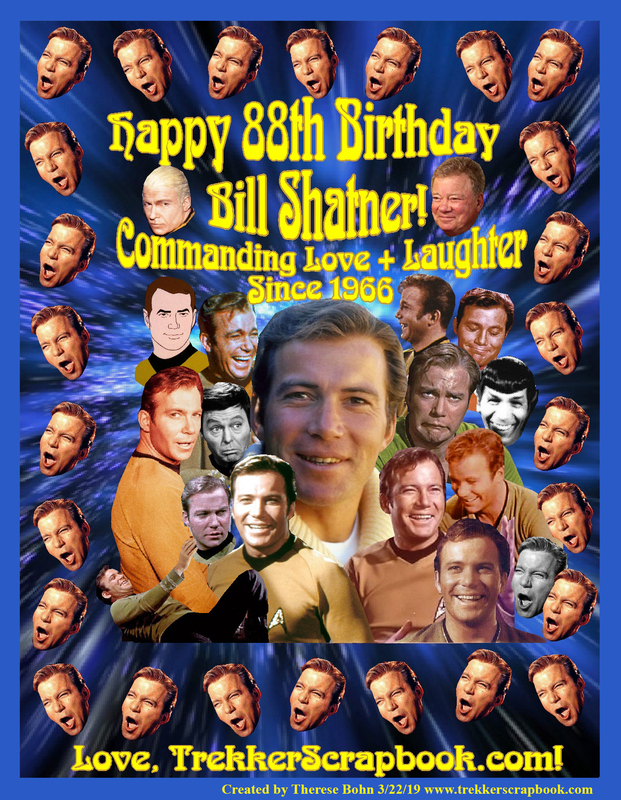 Happy 88th Birthday William Shatner! A very Happy Birthday to our stalwart Captain! Have a grand day Bill Shatner! Love, Therese and all your fans here at trekkerscrapbook.com!